Home > Toys & Games > Toy > Toys “R” Us: 50% OFF Offers Islandwide! 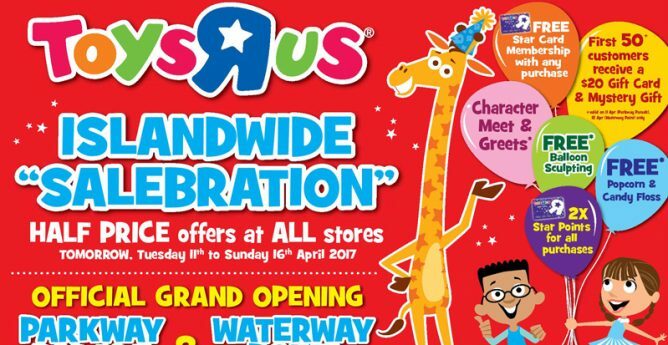 11 - 16 Apr 2017 Toys “R” Us: 50% OFF Offers Islandwide! 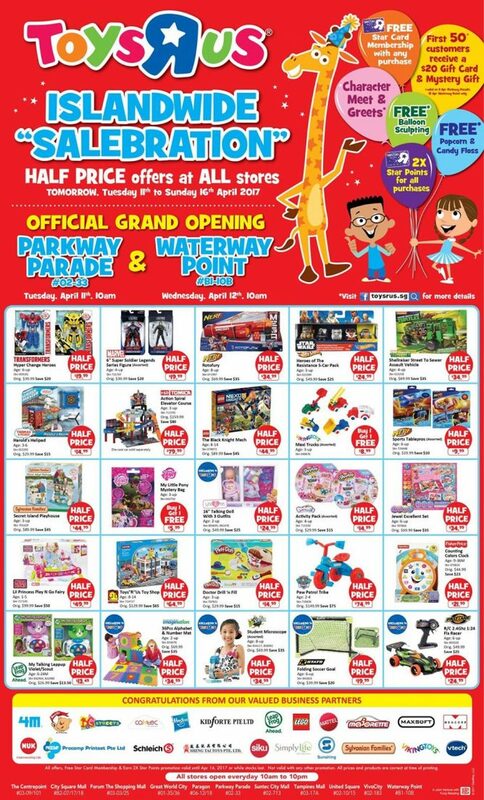 To celebrate the Grand Openings of Toys "R" Us Waterway Point and Parkway Parade Stores, they have prepared half priced offers for all of you! It will be a week of celebration at all stores! Previous: [Singtel] Worry less about laundry day with [email protected]!